It’s Halloween again, time for all of the kids to go out and enjoy Beggars Night! Middletown: October 31, 5:30- 7:00 p.m.
Franklin: October 30, 6:00-8:00 p.m.
Monroe: October 31, 6:00-8:00 p.m.
Trenton: October 31, 5:30-7:00 p.m. Treats must be individually wrapped; unfortunately the days of handing out homemade cookies or popcorn are over. If candy appears to be open or tampered with, it should be disposed of. Make sure that costumes are safe. This means big enough eye holes to see out of and nothing hanging too low for children to trip over as they will probably be going up and down stairs frequently. If you drive during trick or treat hours, please be extremely cautious. 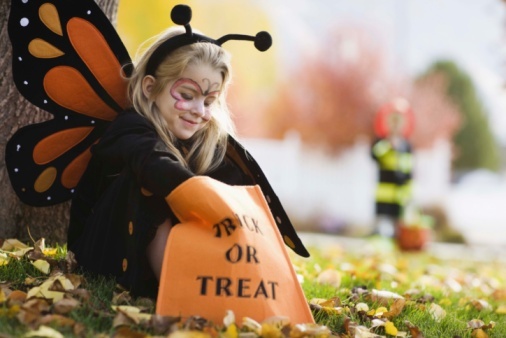 Children get excited when out trick or treating and can do some unpredictable things, and may be dressed in dark apparel. If you would like to decorate your house or yard in spirit of the occasion, great! But don’t create any hazards that cannot be seen and could injure unsuspecting children. If you find something that appears suspicious, report it to your local police station.